Wedgewood 622 Conductivity & Temperature Monitor Amersham pH-P Transmitter . 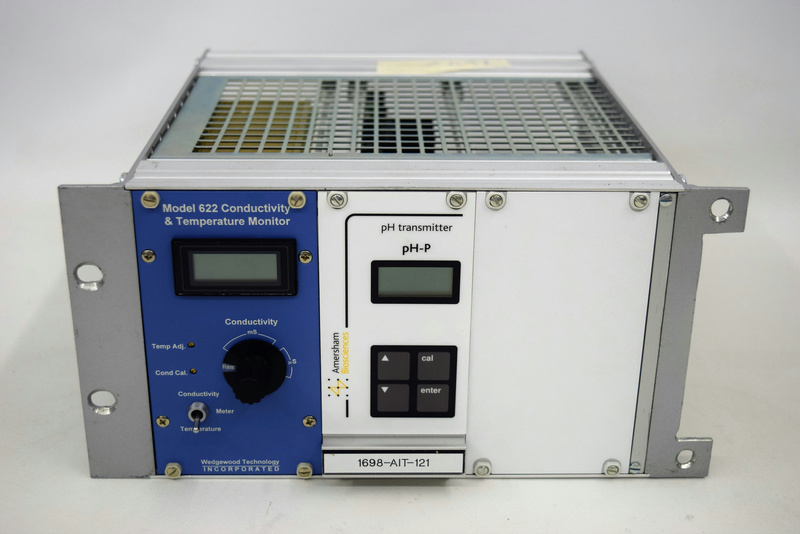 New Life Scientific, Inc.
* Dual channel resistive input for conductivity of temperature. * Ideally suited for chromatography applications in the bio-pharmaceutical industry. This instrument part is in good physical condition, but the wiring was cut during disassembly, and it will need replaced. New Life Scientific technicians removed this from an Amersham Biosciences BioProcessing System. Used to measure the conductivity and temperature of liquids.